Help students take a healthy break from the stress, worries, and anxieties in their lives by practicing mindfulness. 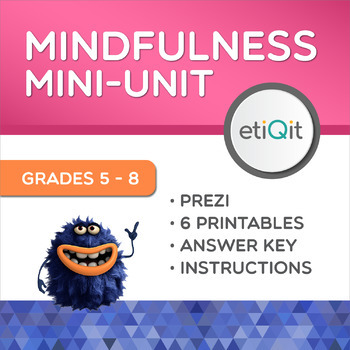 In this mini-unit (called a Qit), students will be introduced to the concept of mindfulness and the science behind how in just a few minutes each day, they can use it to improve their health, learning, and quality of life. 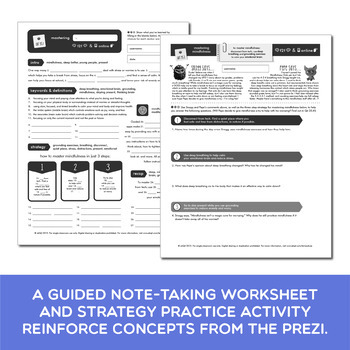 Students will learn specific strategies including the 4-2-4 deep breathing method, several grounding exercises (including the 5-4-3-2-1 sensory exercise), and the concept of staying present. 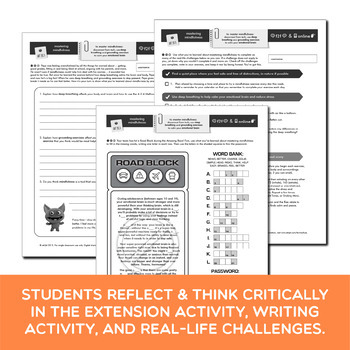 If your students have trouble focusing, struggle with stress or worry, or feel overwhelmed by all the physical, emotional, and social changes of middle school, this resource can help! 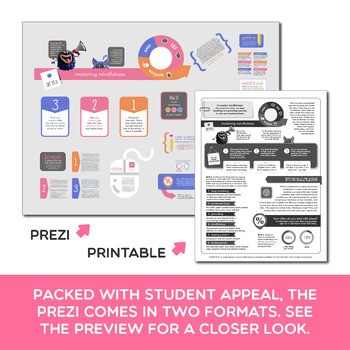 Extension Activity: The attention-grabbing travel theme of this activity, inspired by the popular reality TV show The Amazing Race, will keep students engaged as they as they review and extend concepts learned in the Prezi.